Looking to share your conference with the research world? Add it to a conference announcement website. 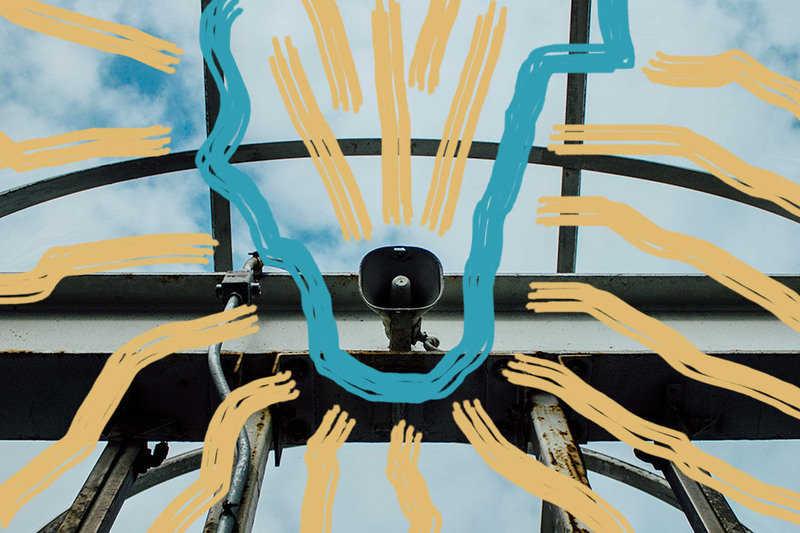 A few organisers have been in touch asking if we can create a list of conference announcement or conference alert sites we’ve found – here it goes. First, an intro. Say you’re organising a research conference and are ready to invite abstracts or papers from around the research world. You have a conference mailing list but would like to invite a wider audience. How do you increase the numbers of papers you receive and the delegates who attend your event? 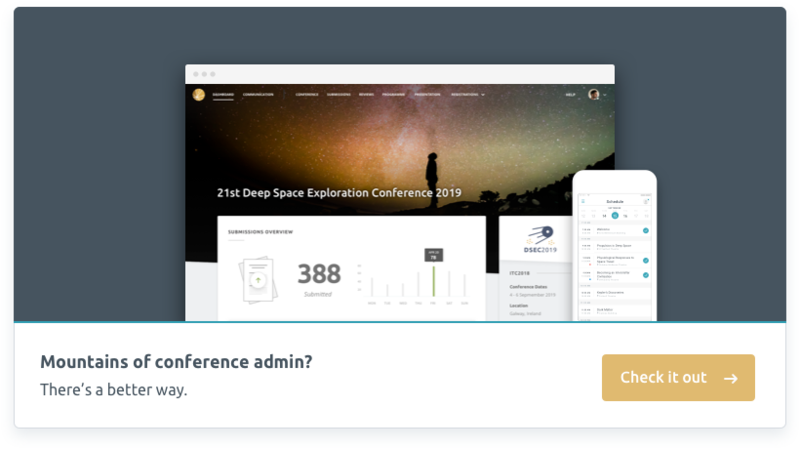 There many ways of promoting your conference but one easy way to do so is via free conference announcement sites – think of them as Tinder for research conferences. These are websites that allow organisers to upload details of their conference under relevant categories, resulting in a directory of conferences from around the globe. Once you add your event, researchers who’ve registered an interest in your research category get an alert about your conference and can access your website to submit, register or just find out more. This is the digital form of the often painstaking design of your ideal call for papers. Except your reach goes far beyond your mailing list, and you’re only sending alerts to researchers who’ve registered an interest. Added bonus – the majority of these websites are free. However, with so many conference alert websites floating around the internet, many conference organisers find it difficult to find relevant websites on which to post their call for papers. To assist you with this headache we’ve created a handy listing of conference announcement directories. To help you find the website best suited to your research event, we’ve broken these websites down by industry and discipline. The first group is multi-disciplinary global conference listings. This is followed by industry-specific conference promotion platforms and then finally other conference directories. The following sites have conferences from all around the globe and with events in disciplines as wide-ranging as renewable energy and toxicology promoted on them. They’re like the front page of the internet when you’re searching for new conferences in your field. They usually have thousands of conferences uploaded and thousands of researchers using them to keep pace with events in their field. When a researcher is looking for a conference these are usually their go-to sites. Here in Ex Ordo, we’ve worked with thousands of research conferences and researchers since 2008. We have always been frustrated by how poorly the traditional Call for Papers (CFP) serves today’s research community. We decided to get give back to the research community by creating PaperCrowd as a community-driven global research directory. Since it’s been launched the response has been incredible and there are now thousands of researchers and conference organisers using it as a platform to connect. The following conference directories are focused on a specific industry or are more journal orientated. While other conference directories cover a broader range of industries, these websites may be worth a look if your conference falls under any of the following industries, or is related to any journals from the following publishers. H-Net is an interdisciplinary forum for scholars in the humanities and social sciences. It’s best known for hosting electronic mailing lists organised by academic discipline. Eventseer keeps track of events, people, topics and organisations and aggregates conference call for papers. When you sign up you get a personal tracker that can be customised to your liking. If you’re interested in a certain topic then you add it to your tracker. Brown Walker Press is an independent publisher of nonfiction academic textbooks, monographs and trade publications that have a platform for journals and conferences to post their events. Inomics hosts conferences in economics, business and social sciences, as well as being a hub for researchers looking for jobs, PhDs, master’s programmes, and short courses. MDPI is a publisher of peer-reviewed, open access journals and has a platform for conference promotion. DevOps Days is a global series of technical conferences that focus on software development and IT infrastructure operations. FEN Professional Announcements is distributed weekly and includes announcements including conferences, professional meetings, calls for papers, and jobs in the financial and accounting sectors. These conference listings are often restricted to specific countries and have a limited collection of conferences. A word of warning if you’re using conference announcement sites as a way to find conferences to attend. Always be wary of untrustworthy and predatory conferences on these conference alert sites. On some sites, predatory conference organisers will upload 100s of these fake conferences. Predatory conferences are often organised as money-making ventures that prey on early-career researchers. If you get duped into attending one, you can look forward to poor organisation and a programme full of withdrawn or sham submissions. And that’s before you take into account the cost of attending, and the hard work it takes to submit. So arm yourself with some info on how to identify predatory conferences before you go searching. Brian helps researchers find conferences on PaperCrowd. He enjoys entertaining his baby nephew, playing an insane amount of sport, and being wildly competitive at party games. (He’s a pass-the-parcel champion.) Previously, he worked as the admin of an international entrepreneurship research conference.